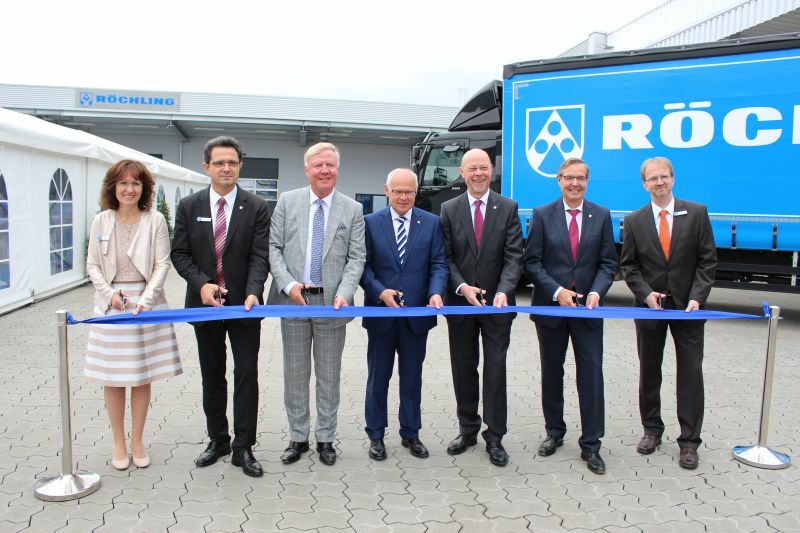 Lahnstein, 11th May 2017 – Röchling Sustaplast SE & Co. KG ceremoniously inaugurated its new logistics centre at its location in Lahnstein. The existing 3,100-square-metre hall was extended by a 900-square-metre shipping area as well as a 3,000-square-metre hall area, more than doubling its original size. 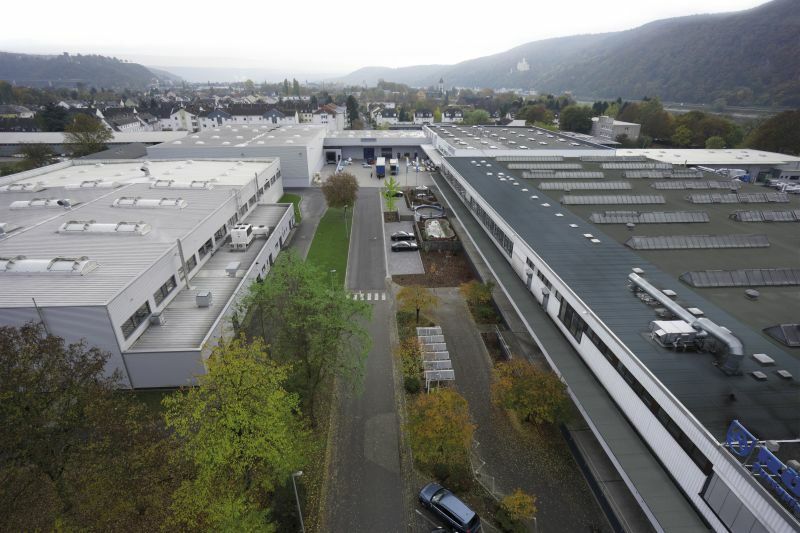 Röchling strengthened the location with the investment of almost 5 million euros as it continues to build on its position as a leading processor of technical plastics in the global market. In the new building, Röchling incorporated the latest findings from supply chain management, which accelerates internal workflows and further improves customer service. For example, the warehouses were equipped with high racks, in which the products are entered and removed from storage using picking trucks specifically designed for this purpose. At the same time, the internal transport paths and times for the storage, provision and shipping of products was also minimised. The ergonomically optimised workplaces in the new shipping area were equipped with height-adjustable packing tables and modern crane systems. This is where the plastic products are packaged and made ready for shipping. Raising the level of the building means that the shipping area can now also be accessed by lorry when the Rhine floods. The importance of a perfectly coordinated logistics concept becomes clear when considering Röchling Sustaplast’s extensive product range: with over 13,000 items, the plastics processor offers a product range of technical plastics that is virtually unique in the industry. Röchling Sustaplast manufactures semi-finished products (including sheets, round rods, tubes), profiles as well as near net shape cast parts and customised machined components made from high-performance plastics for technical applications. The products are marketed in almost all sectors of the capital goods industry, primarily via wholesale. Important industries include mechanical engineering, oil and gas, medical technology, the food industry, railway technology, renewable energies and aerospace... the list is endless. The process and innovation expertise is substantially influenced and shaped by the over 300 Röchling Sustaplast employees. This potential is also based on the great affinity and high company loyalty in the workforce and the families. Moreover, the importance of qualified employees is reflected in the 21 apprentices, who are receiving training in six professions. Time and again they graduate as best in class at the Koblenz Chamber of Industry and Commerce. Röchling believes that the training of young people makes a critical contribution to safeguarding the future of the location and its competitiveness. The Group’s international orientation opens up an interesting field of activity in the everyday tasks of all employees: the manufacture of products that are shipped around the world.